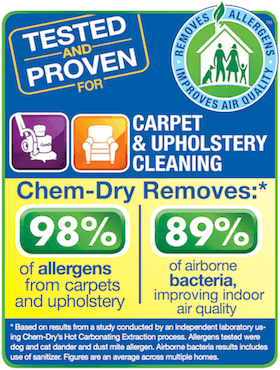 Professional carpet cleaning from Chem-Dry of Fort Wayne removes over 98% of allergens. Superior upholstery cleaning eliminates dust, particles and soils from your furniture and fabrics. Our cleaning service successfully cleans and restores all types of rugs, including Oriental rugs. Our trained technicians are available to clean for your business before or after hours as need be. Professional carpet stain removal features safe and tested solutions and methods for success. P.U.R.T.® and Hot Carbonating Extraction (HCE) combine to remove harmful pet urine odors. Fill out our online FREE ESTIMATE form for pricing information. 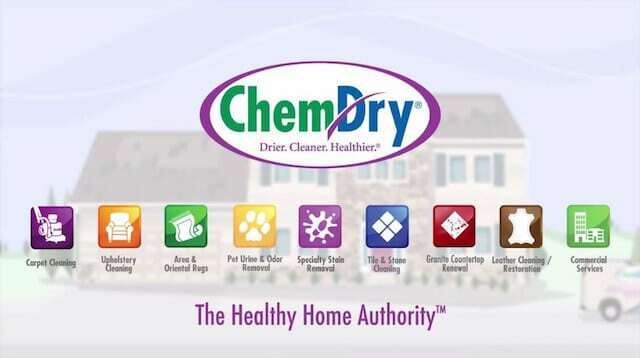 Tell us all about your Chem-Dry of Fort Wayne cleaning service. We love to hear from customers! Review us here.